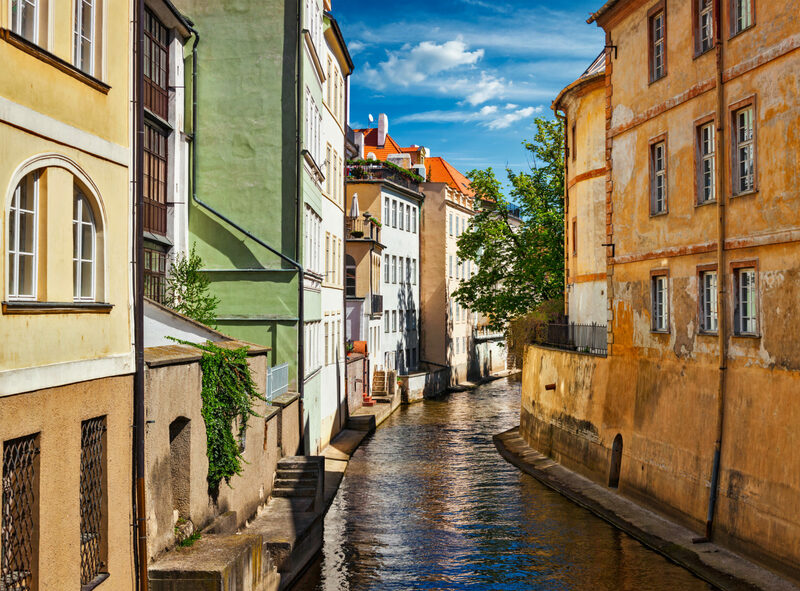 Intimate in scale and seductive by nature, Prague is the ideal city for a three-day visit that mixes medieval intrigue with modern romance. I’ve been known to fall in love at first sight with certain cities. That’s how I felt when I arrived in Prague 20 years ago during a backpacking adventure with a friend. I knew right away that the capital of the Czech Republic was a keeper — a city I needed in my life for the long haul. I returned as an adult for a romantic European getaway with a new beau, and my feelings for the city only grew stronger. Ten years later, I visited again with another friend, and she swooned, too. I wasn’t surprised. After all, the massive castle high on a hill, medieval bridge lined with statues of saints, beautifully restored buildings and mood-lifting music can seduce anyone. Ready to fall in love? Give yourself three days in Prague and write your own Bohemian rhapsody. Every city has a heart, and Prague’s is Old Town Square. It always feels convivial and cozy — even when packed with tourists. Here you can admire the delicate twin spires of The Church of Our Lady Before Týn and the whimsical 600-year-old Astronomical Clock (it usually gongs and whirls every hour, but it’s stopped for repairs until August 2018). You’ll also see the large bronze statue — now vivid green with patina — of 15th-century religious reformer Jan Hus. From there, walk to Prague Castle via the 14th-century Charles Bridge, a pedestrian walkway that crosses the Vltava River. 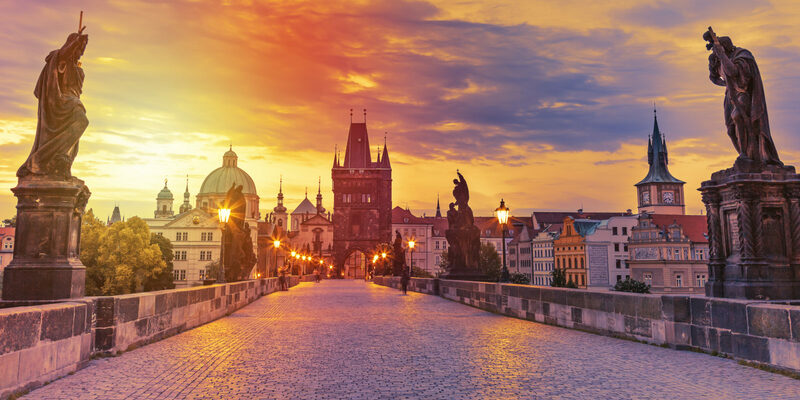 Take your time and stop to snap photos of the gothic-style Old Town Bridge Tower, Prague Castle and the 30 baroque statues that line the bridge. It’s supposedly good luck to touch the Saint John of Nepomuk sculpture! Prague Castle is the largest castle complex in the world, packing more than a millennia of history behind its walls. 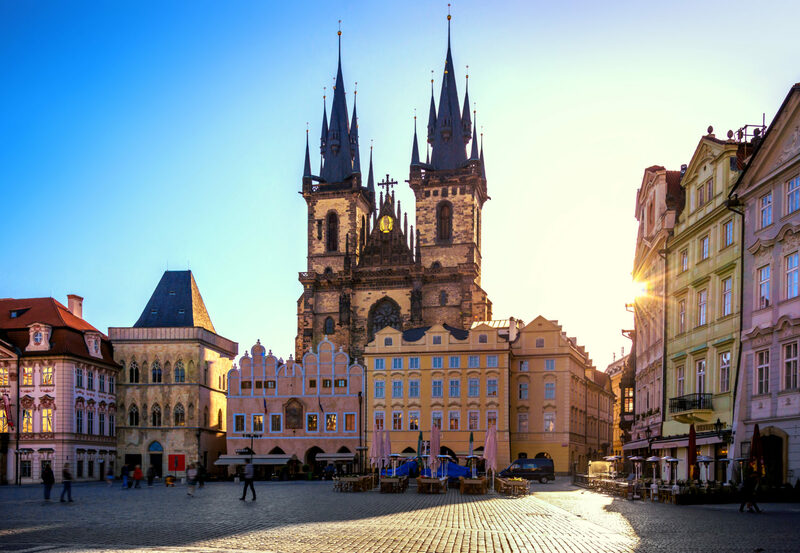 Allow several hours to explore its labyrinth of royal palaces, St. Vitus Cathedral (where coronations took place) and the 600-year-old houses of Golden Lane. So much exploring can build up your thirst, and when in Prague, the best remedy is beer. Cross back over the Charles Bridge and head to U Tri Ruzi, a welcoming beer hall in Old Town. Then relax while drinking frothy pilsners and dining on hearty duck and pork entrees with potato pancakes and braised cabbage. Na zdraví (Cheers)! Malá Strana (Little Quarter) is a hillside neighborhood just west of the Vltava. It’s filled with architectural eye candy, much of it gloriously baroque. Spend the morning strolling its cobblestone streets and spotting the unique decorative motifs — from Grecian-style statues of muscled gods and bosomy goddesses to folkloric animals and family crests — that adorn its buildings. Then, take the funicular to the top of Petrin Hill, where walking paths offer a bird’s eye view of the city. There’s a lookout tower that resembles a miniature Eiffel Tower, too. When I was there, it was mid-November and a bit nippy. But the fresh air and exercise made our lunch of traditional Czech goulash and dumplings in a tiny pub feel that much cozier. It wasn’t until my third visit that I discovered the John Lennon Wall, located near the French Embassy. Local graffiti artists originally painted the vibrant, ever-changing wall to honor the late musician and represent peace and free speech. Stop by to admire the Beatles-inspired artwork and pose for photos by a spray-painted portrait of Lennon. Then continue to Cafe de Paris, where wine and steak frites are specialties. Cap off your evening with a few hours of live contemporary music at the strikingly modern Jazz Dock. Prague’s other top sights, including the Franz Kafka Museum, the Jewish Quarter, the National Gallery and Strahov Monastery, can easily fill a third day. But on my latest trip to Prague, I opted for something different: the Prague Loreto, a pilgrimage site in Hradčany. The Church of the Nativity of Our Lord, part of the Loreto, is decorated extensively with cherubs — some cute and some creepy. Next, walk along the river to the Jiráskuv (or Jirásek) Bridge to see The Dancing House. This modern de-constructivist building was inspired by the famous duo of Ginger Rogers and Fred Astaire. Then make your way past the 19th-century National Theatre into the heart of Staré Město (Old Town). Take a break at Choco Café, where you can warm yourself with quiche and the house specialty — rich, thick, heavenly hot chocolate. Afterward, enjoy a classical concert in nearby St. Clements Cathedral. One crossing of the Charles Bridge simply isn’t enough. Walk it multiple times, in both directions at different times of day, to fully appreciate its visual magic.